I will solve the high altitude of research and construction that looks seemingly impossible in rope access technology. Traditionally, the research and construction of high altitude scaffolding erection and aerial work platforms was necessary, it is rope access technology to carry out while the safety rope. 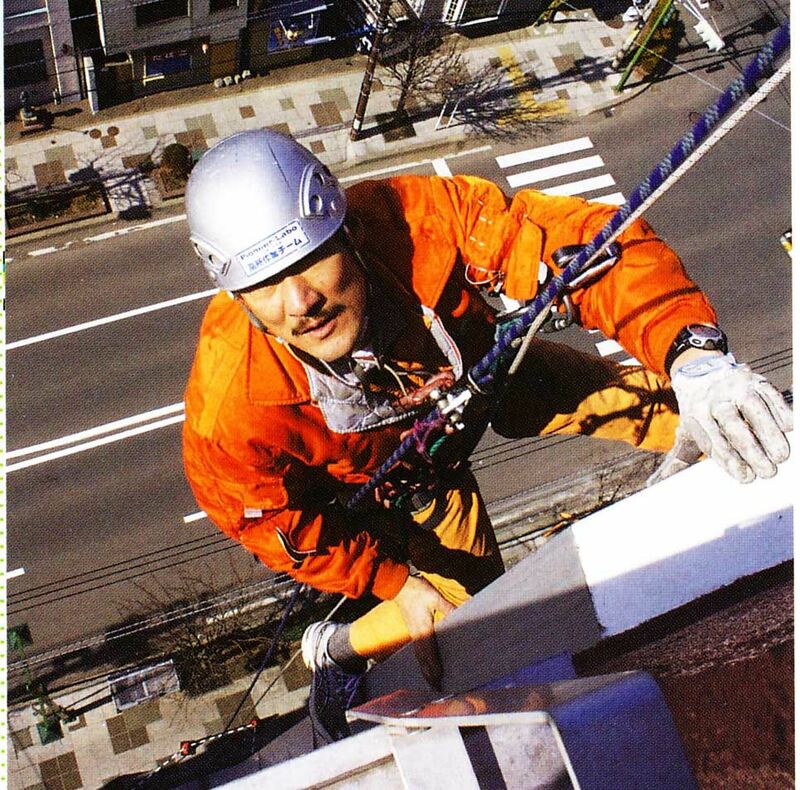 Rope access is advantageous in large-scale mobility is high cost because it does not require the equipment, but on the other hand is an advanced skills and crisis management capability is required special technology. Aerial team, by making full use of rope access technology, went many surveys and construction of high altitude that looks seemingly impossible. 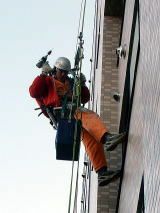 [Aerial team] is specialist rope access technology. In making an aerial work in rope access technology, sophisticated risk management ability and physical ability are required, you must also be familiar with the characteristics of the device. [Aerial team] staff is altitude of specialists savvy to rock climbing technology. Danger is accompanied by, a variety of aerial work a variety of business knowledge is required, and the performed safely and reliably, because there is a high capacity of such staff.